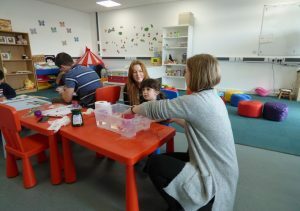 Our Early Years’ Service is tailored to the individual needs and goals of each family attending. To ensure we maintain the quality of service, and continue to effectively deliver outcomes, the first stage of booking is a conversation with a member of the Early Years’ team. If you would like to discuss attending, please get in touch by calling 020 3031 9705 or emailing earlyyears@beyondautism.org.uk and asking to speak to the Early Years’ team. In the event of oversubscription, we will take your details, and our Head of Early Years’ service will make a home visit to assess your situation, so that we can offer you a place when one becomes available.